Next week, I'm heading down to San Diego for my first Comic Con! I'll be there with these awesome cartoonists: Alec Longstreth, Liz Prince and Greg Means. I'll be at their table all week, helping out and selling my movie zine: Terrible Movie Nights. 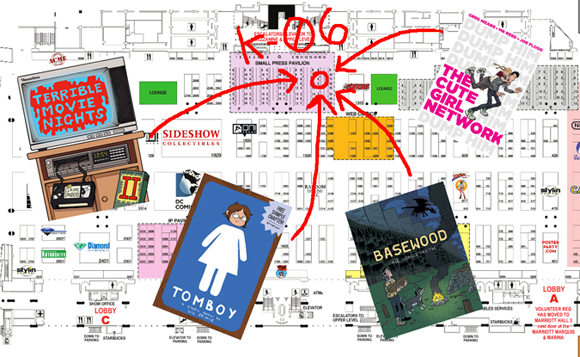 If you're gonna be there, come stop by our table in the Small Press Pavilion: aisle K, table 6.